What does Longmont Colorado have in common world record holder Chip Yates? 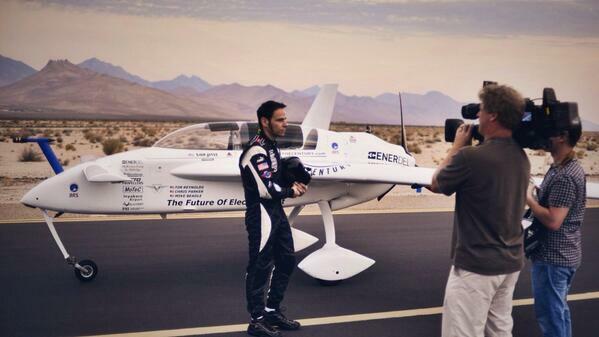 Recently, at an airshow in Sacramento, a pilot named Chip Yates set two new Guinness World Records for electric-powered airplanes. His records included speed of climb to altitude — he reached 500 meters in 62.58 seconds — and speed over a 1 kilometer course averaging two passes, one in each direction. For that record, Yates’ plane traveled at 212.9 mph on one pass and 216.9 mph on the other. So, what does this have to do with Longmont? As it turns out, the motor and the controller in Yates’ world record-making plane were designed by successful Longmont-based company UQM Technologies. In addition to developing and manufacturing power-dense high efficiency motors, generators and power electronic controllers, UQM states that a major emphasis for its company is in the development of propulsion systems for electric, hybrid electric, plug in hybrid and fuel cell vehicles. Some of UQM’s customers, according to the company’s annual report, include Audi, Saab, Zenith and RTD. Yates praised the performance of his planes’ motor, saying that he sees implications for commercial and military uses of this electric vehicle technology. For UQM Technologies and many other companies in the Longmont area, the sky is truly the limit as to what innovation, a passion for creating a cleaner environments and an eye toward the future can achieve. UQM Technologies, Inc. is a developer and manufacturer of power-dense, high-efficiency electric motors, generators and power electronic controllers for the automotive, commercial truck, bus, marine and military markets. A major emphasis for UQM is developing propulsion systems for electric, hybrid electric, plug-in hybrid electric and fuel cell electric vehicles. UQM is located in Longmont, Colorado. This entry was posted in Longmont and tagged Longmont Homes For Sale, longmont housing, Longmont Real Estate Market, Longmont Relocation Information, UQM Technologies on October 25, 2013 by John Iannone.